High water, low water, tide in, tide out, and seine netting has continued for at least 2,000 years past, on the Exe. The Phoenicians arrived, the Romans came, conquered and went, after naming the area Isca, the river of fish and the fishing continued, as part of our local culture, heritage and food harvest. The Norse Vikings and their berserkers pillaged and integrated. The fishing continued. In 1688, after changing the colour of carrots from brown to orange the Dutch arrived with a massive fleet, up the Exe, to Topsham to unload their army, including their 16 captured Turkish cannon, each weighing 16 tons and to successfully take over the crown of the kingdom, what was the last invasion of Britain. The tide went up and down, the water went in and out and Topsamites carried on fishing. 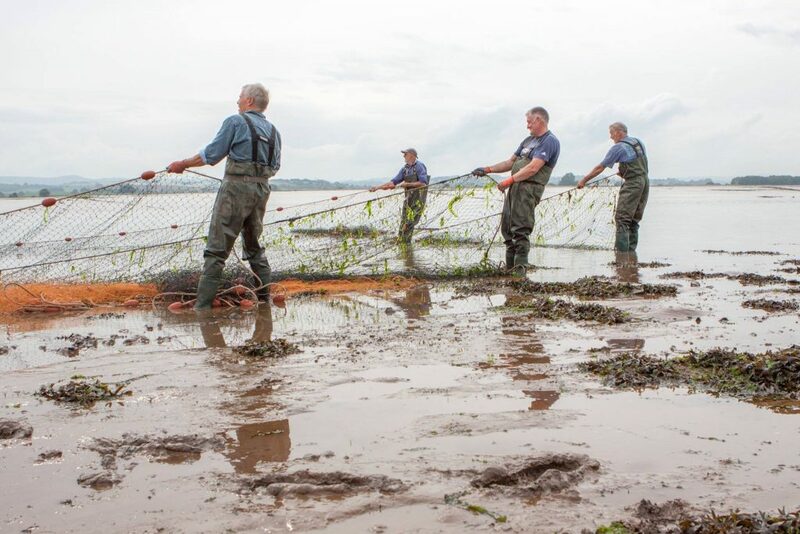 The Autumn of 2018, the Environment Agency write to the 3 salmon and sea trout Topsham licensees on the Exe and stating that the Exe is excluded from a proposed ban of netting. The Exe is not a critically endangered area for salmon and sea trout. The fishermen apply for their 2019 licences and pay the hefty fee accordingly, they prepare their nets, they restore their boats, they prepare for another season. In 1996, the season had been severely shortened, with voluntary agreement from the fishermen from 131 days to 55 days per annum as part of a conservation initiative, costing well over £500,000 and ‘should help raise salmon numbers in the Exe in the most efficient and quickest way’. The River Exe Project‘s stated mission is to double the number of salmon in the river by the end of 2014. Early results indicate they are on the right track. The licence fee was not reduced accordingly, there was no recorded increase of salmon, they continued their cyclical pattern. “I am sorry to advise you that net fishing of salmon and sea trout will be prohibited from 1st. January 2019 on the Exe Estuary … there is no automatic right to compensation”.